Step right up, folks, if you want to witness a true cinematic oddity. A dramatic period biopic! A bearded lady and back-flipping Siamese twins! The Zendaya/Zac Efron onscreen romance you’ve always hoped for! And there’s singing! Lots of singing. 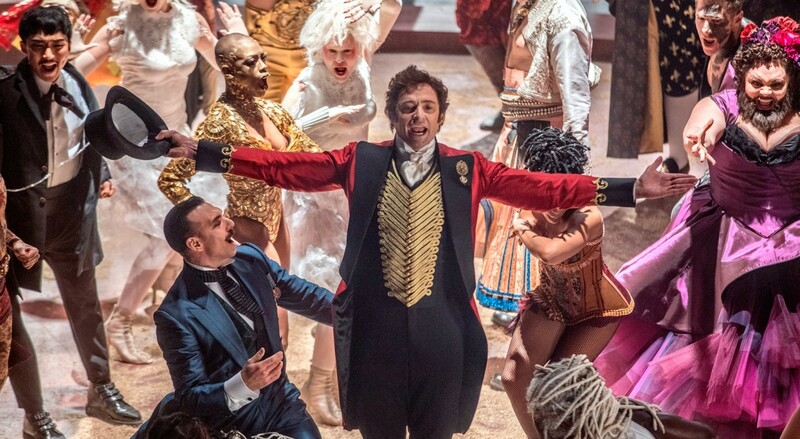 It’s all right here in The Greatest Showman, a candy-coated spectacle that will either delight cheerful fans of all ages during this holiday season or make them search in vain for the mute button. In case it’s not obvious from the trailers, the performances are of the blustery jazz hands variety. Not the musical type? Out of luck. The narrative is peanuts. The circus is where audiences waltz in a building and marvel at people and animals of all sizes, shapes, creeds and colors. Lions and elephants and 8-foot giants, oh my! No matter that seeing is not quite believing. Customers come for the pleasure of being hoodwinked. Barnum becomes a success, both professionally and personally. He has the childhood crush-turned-devoted wife (Michelle Williams) and two lovely girls. He’s able to recruit a popular stage thespian (good sport Efron) to join the fun. He and his troop perform in front of Queen Victoria and earn cheers. Yet Barnum longs for critical respect. And he expresses his feelings through the power of song. The songs could have benefited from more wit and sophistication. They’ll worm into your ear but won’t necessarily grip your soul. That’s because Michael Gracey, in his directorial debut, is trying so very hard to pull the strings. The strategy often backfires. If anything, the dejected bearded lady (Keala Settle) bellowing out a tune about how she just wants to be accepted veers close to a Saturday Night Live-esque digital short parody. In terms of the sheer quantity, The Greatest Showman musical interludes fall somewhere in between La La Land and Les Miserables. They can’t connect the dots of a clichéd plot in which thinly drawn characters try to pursue the American dream. 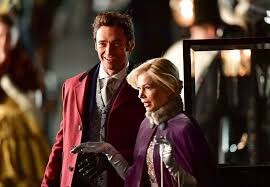 Jackman and Williams may sing beautifully about the power of love but we don’t feel it because their dialogue to each other is old-fashioned and wooden — even when Jackman has eyes for renowned singer on his payroll (Rebecca Ferguson). A dramatic turn of events between Efron and Zendaya’s lovestruck performer is laughably hokey. And what to do when a few thugs throw shade at the circus freaks?! Of course everything is going to turn out OK because the film would jump through hoops to please. The emotions aren’t earned. No, you’re not going to glean crucial info about the legendary Barnum — but you will come away with respect for the man who portrays him. Nine months after donning Wolverine’s claws for the final time in Logan, Jackman proves yet again he’s equally comfortable as the song and dance leading man. The congenial, ever-appealing actor is the ultimate grand master of ceremonies, and there’s no tomfoolery about it.